Powering off your Windows 10, 8 device isn’t recommended especially if you want to gain some speed and if you want to keep your data and programs on background each time you have to turn off your laptop, tablet or desktop. Thus, for skipping the powering off / on sequence you choose to put your Windows 10, 8 system in sleep mode. Using sleep mode is great as you will be able to turn on your device extremely fast without loading the default programs and in built features each time you reboot your device. Also, all your processes will be restore once you wake your computer from sleep mode, so all of your data will be in safe hands even if you didn’t save them before applying the sleep mode. But what to do when experiencing problems with the Windows 10, 8 sleep mode? More and more users are reported issues related to this topic as they aren’t capable to wake their devices from sleep mode. Basically, if they aren’t using their devices for several hours, the computer will not wake from sleep mode unless a force restart is being applied. So, how to fix this Windows 10, 8 error? Well, we will try to offer a few troubleshooting solutions during the guidelines from below, so don’t hesitate and check the same. From there press on Wind + W keyboard buttons and type “troubleshooting” within the search box; press enter in the end. From the left panel of the main window select “View all”. Choose Power from the general settings and just follow the on screen prompts. 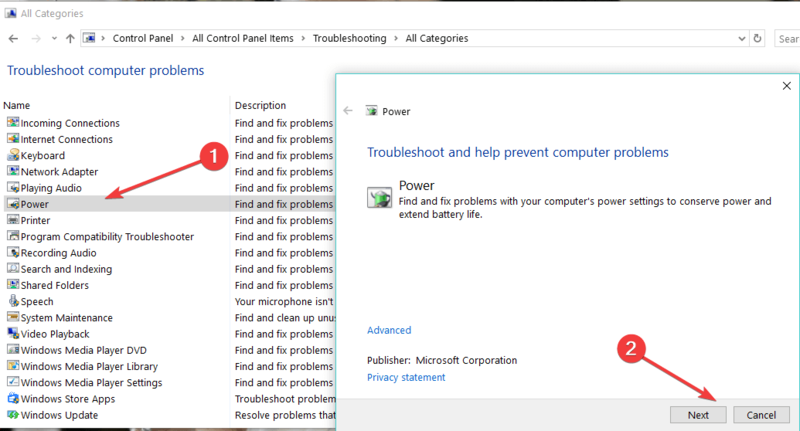 On Windows 10, you can run the Power Troubleshooter by going to Settings > Update & Security > Troubleshoot and selecting the appropriate tool from the list. The next thing to do will be to uninstall your drivers, including the display adapters. In order to do so from your Home Screen press on Wind + X keyboard keys and choose Device Manager. Go towards Display Adapters and uninstall your drivers. Then go to your manufacturer’s official webpage and from there download and install the latest versions of your drivers. 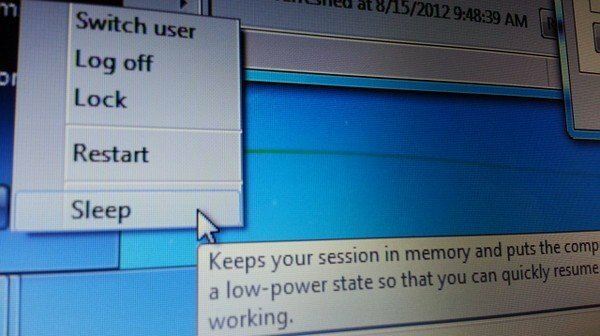 Moreover you can also try to create a new Power Plan in order to personalize and customize the way you decide to power off your Windows 10, 8 computer. Finally, the problem might be caused by Windows 10, 8 updates. We all know that Microsoft is constantly releasing updates for your Windows 10, 8 system, updates that are being installed automatically. Well, all you have to do is to turn off Windows Update feature and to apply the updates manually each time you want. Moreover, if this problem occurred shortly after you installed the latest Windows updates, you may want to uninstall them as well. Speaking of updates, according to a recent survey, over 50% of users confirmed that Windows updates triggered various technical issues on their machines. As a result, removing recent updates may help you fix the problem. If the issue persists, make sure that your monitor is working properly. Sometimes, faulty monitors may cause various Sleep mode issues, as well as prevent your Windows 10 computer from waking up. As we pointed out in a previous post, if you’re using an old laptop , you may want to disable Intel Rapid Start Technology in your BIOS Power settings. 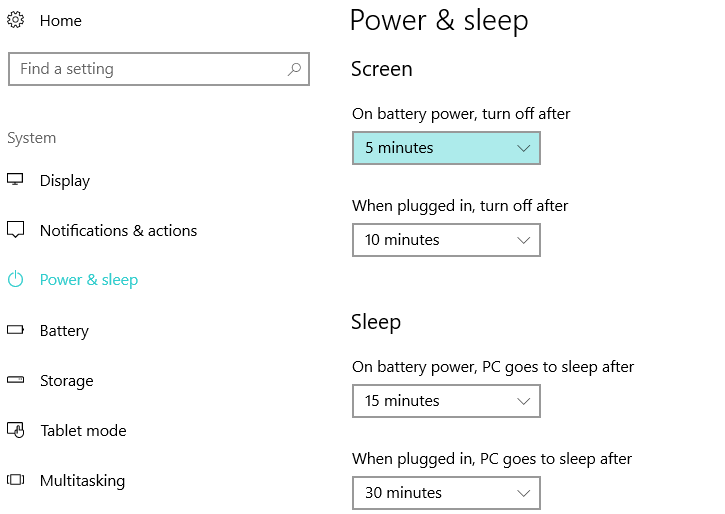 Windows 10 Deep sleep option is not available on older configuration machines and this might cause sleep mode issues. 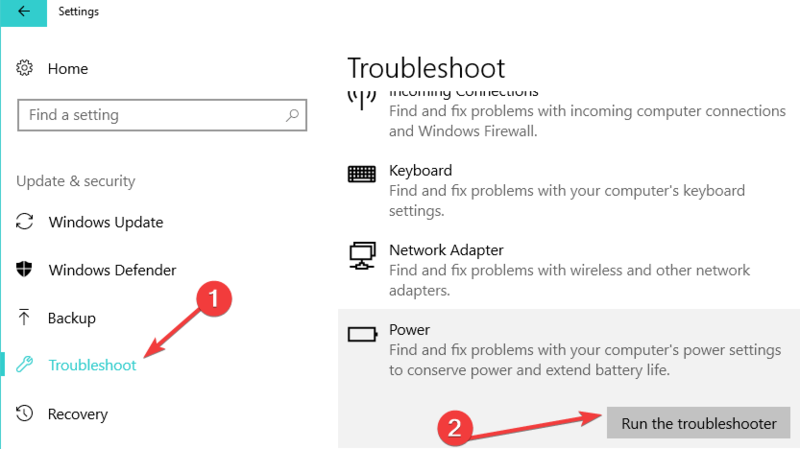 So, these are the troubleshooting solutions that should resolve the Windows 10, 8 sleep mode issue. In case the problem persist after applying the guidelines from above, point that out by using the comments field from below and we will try to bring a new fixing solution for you.